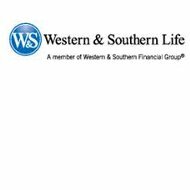 Western and Southern Life specializes in life, annuities, and critical illness insurance. Although Western and Southern Life does not sell medical health insurance, they do work in partnership with health insurance companies to provide medical insurance, Medicare supplemental, and long-term care insurance to their policyholders. Compare online health insurance quotes with active health insurance providers by entering your zip code into the toolbox now! Western and Southern Life has been in the insurance business for over 120 years offering insurance products to clients in 22 states through their 180 offices and website. Their success is apparent in their financial rating by A.M. Best who has awarded them with an A+ since 2009. Western and Southern Life agents and offices can be found on the company’s website. Simply enter your zip code in the toolbox provided and the closest office will appear with the agent’s information. You can call, fax, visit, or email the agent with the information provided. The website also provides a listing of all the agents in that particular office. Another option in finding an agent or office is to pull up the map of Western and Southern Life agents. Click on the state that you reside, and all of the offices will populate the screen with the agent’s name, address, phone number, fax number, and the ability to email the agent or view the agents at each location. Quotes for insurance offered by Western and Southern Life can be calculated on the company’s website by first choosing the type of insurance you are interested in and then choosing your state. The next step in this process is to enter some personal information. Once this is complete, the site will ask you to enter in the amount of coverage you are looking for so that the website can calculate the various plans that meet your needs. An explanation of the plans will populate your screen so that you can either obtain additional quotes or speak to a representative from Western and Southern Life. Quotes for policies can also be received by either calling (866) 832-7719 or by emailing the company by following the link on the website. All applicants must be approved by the underwriting department before coverage can go into effect. Western and Southern Life claims can be filed directly on the company’s website under the MyAccount section. If you do not have the ability to file the claim this way, you can phone in your claim and follow their direction on what to do next. Western and Southern Life offers Critical Illness policies, which protect individuals from life threatening illness. Eligible individuals are between the ages of 18 and 69. Spouses that sign up for a policy can receive a discount on the policy fee. Once the policyholder is diagnosed with a critical illness, a lump sum is paid out to the individual to cover the expenses. Amounts vary between $10,000 and $100,000 depending on the policy. Partial payouts are allowed for certain illnesses, which are also available online for your review. An Accidental Death Benefit is available as a rider to the Critical Illness policy. Western and Southern Life Long-Term Care Insurance is available through insurance partners with Western and Southern Life. The policy is designed to help cover nursing care, assisted living facilities, and home health care expenses. Western and Southern Life Medicare Supplement Insurance provides supplemental insurance to individuals already enrolled in Medicare. There are 10 different Medigap policies, which help to cover various medical expenses, which are all contracted from outside sources in contract with Western and Southern Life. Western and Southern Life Disability Income Insurance offers financial assistance when a disability occurs to the policyholder, and they can no longer work. These policies are also underwritten by an outside source, but are sold by Western and Southern Life. Western and Southern Life Individual Health Insurance is provided by outside health companies through an agreement with Western and Southern Life. The plans available range from basic to more advanced plans, which can be underwritten to meet your individual and family needs. Western and Southern Life Health Savings Accounts are another alternative to traditional medical insurance policies. These policies that are written by an outside source provide high deductible, low cost insurance where individuals can put pre-taxed money aside for medical expenses. Lastly, Western and Southern Life offers Group Health Insurance through other insurance providers. These plans are available in PPO’s and traditional plans that allow for freedom of choice in the providers the policyholder sees. However, credit card payments are only permitted for initial premium payments. Western and Southern Life can be contacted in a number of ways. First, there is always live help online to chat with or answer any questions or concerns. Customers can also click on the icon to call Western and Southern Life or request an appointment with an agent or representative. You can get health insurance rates from active providers in your area by entering your zip code now!